Give a gift that will get you plenty of X’s and O’s this Valentine’s. 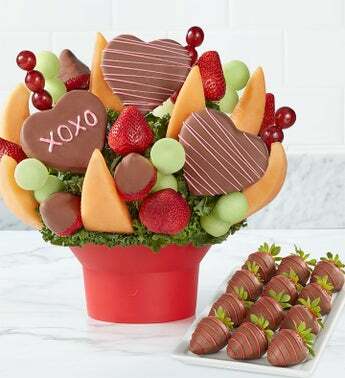 Heart-shaped pineapple slices dipped and decorated with XOXO together with strawberries, melon, and more, to convey your sweetest sentiments. Make it a romantic celebration they won’t soon forget!